The turkey has been carved, radio stations have begun to play holiday music, and homes are illuminating with lights. 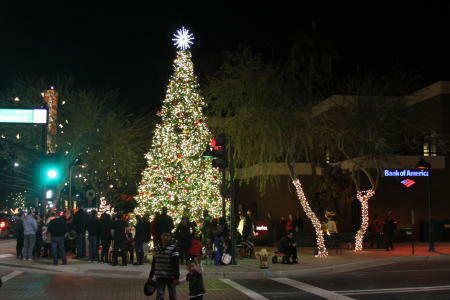 The holiday season is officially here and what better way to celebrate than with Merry Main Street in Downtown Mesa! There will be entertainment for all ages throughout December, so bring the entire family and make your way down Main Street for all of these festive stops. Save some money - Discounts Available! • Thursdays are “Student Night” from 5-10 pm Students skate for only $8 with a valid student I.D. The Mesa Christmas Market joins with Merry Main Street to bring a magical and festive European-style market experience to Mesa! 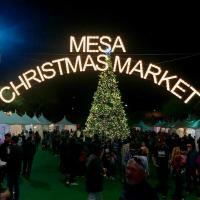 With more than 30 vendors near the Mesa Christmas Tree, the market will be open on Fridays and Saturdays until December 22. Shelves will be stocked with unique, Santa-approved gifts for all ages, so don&apos;t miss this brand new holiday happening on Main Street! Take a ride on the Main Street Express trackless train every Friday and Saturday on Merry Main Street! 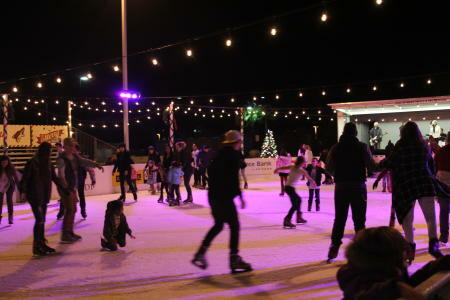 Located by the ice rink, this magical trail ride is FREE and fun for all! Merry Main Street would not be complete without a giant Christmas tree. The nearly four-story tall tree will be located on Macdonald at Main Street. For more information about the holiday celebration on Merry Main Street, and for a detailed calendar of events, visit www.merrymainst.com!